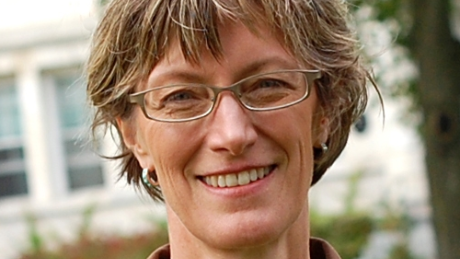 Middlebury College professor of politics and economics Allison Stanger was attacked by left-wing, so-called AnftiFa (an ironic abbreviation for supposed “Anti-Fascists”) protesters on March 2, merely for attending a speech by, and talking to, conservative/libertarian author Charles Murray in the rustic Sandersesque, Flower-Power enclave of Middlebury Vermont. Evidently hungering for more than Phish bootlegs, Ben & Jerry’s binges, and baths in patchouli oil, the “protesters” (more precisely called thugs) decided that they needed to shut down free speech and send Professor Stanger to Middlebury Hospital in order to satisfy their wanton self-righteous egos. She emerged with a neck brace and horrified thoughts about her attackers. “I want you to know what it feels like to look out at a sea of students yelling obscenities at other members of my beloved community. There were students and faculty who wanted to hear the exchange, but were unable to do so, either because of the screaming and chanting and chair-pounding in the room, or because their seats were occupied by those who refused to listen, and they were stranded outside the doors. Sadly, as we know, things got worse. “We confronted an angry mob as we tried to exit the building. Most of the hatred was focused on Dr. Murray, but when I took his right arm both to shield him from attack and to make sure we stayed together so I could reach the car too, that’s when the hatred turned on me… Once we got into the car, the intimidation escalated. That story has already been told well. Getting a chance to calm down, Professor Stanger soon realized that the pain she was starting to feel in her neck needed addressing, and her husband brought her to the ER. The “opponents of fascism” continued to riot in response to the simple fact that a man was expressing his opinions to willing listeners. This is, of course, part and parcel to what real fascists do, and what real fascism is. It seems that contemporary leftists believe fascism is “hating someone for being different," and using the police, business, or a “societal patriarchy” to engage in overt or covert violence. What they rarely acknowledge -- or perhaps even understand -- is that fascism has a very specific meaning. It is the political arrangement whereby the means of economic production are “nominally” owned by individuals or corporations, but are ultimately commanded by the state. It is, as a result, anti-individualist, anti-private property, and anti-dissent. One does not produce “goodness” or “fairness” via the agency of violence, be it personal or state violence. And one cannot claim to be anti-fascist when engaging in the epitome of fascist tactics, embracing fascist ideology, and hiding behind flags of self-congratulatory righteous indignation. It's too bad kids don't learn that in school.